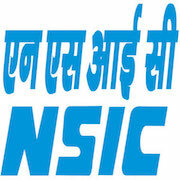 Online Application Details for National Small Industries Corporation Limited NSIC Recruitment of 11 General Manager and 5 Chief Manager is given below. Application form and duly attested documents are to be sent to Deputy General Manager – Human Resources, The National Small Industries Corporation, “NSIC Bhawan” Okhla Industrial Estate, New Delhi-110020. In envelope super scribed with 'Application for the Post of Post Name'.